The HCB Center Console Yachts 65' Estrella is the largest center console in the world. 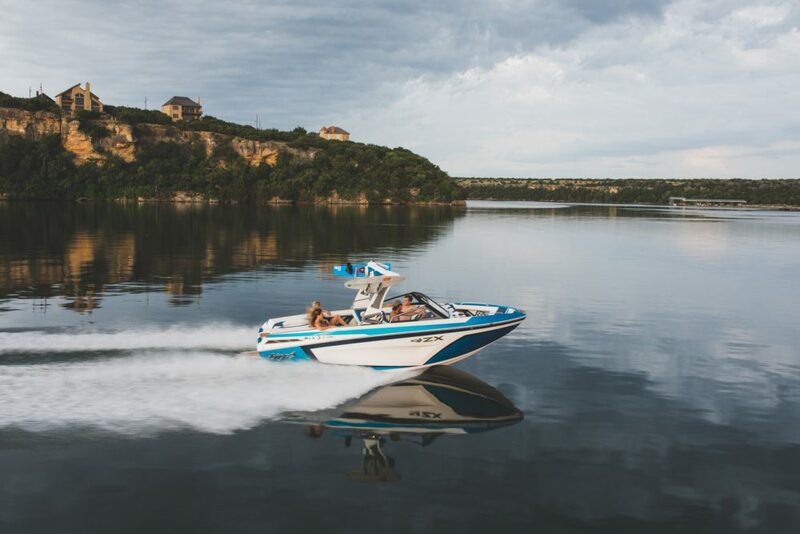 When Hydra-Sports built the 53 Suenos, in 2015 it was at that time the largest center console in the world. Before anyone could top them, the same company (renamed HCB Center Console Yachts) topped their own mark with the all new 65 Estrella. Naturally, we had to jump aboard this massive fishing machine the very moment we spotted it at the Fort Lauderdale International Boat Show. As though setting a new bar for sheer size wasn’t enough, the Estrella has more records to break. Have you ever seen a center console before with an outdoor dining area for 10? We know the answer is no, because until this boat it didn’t exist. How about one with a 16 foot beam? No, again. 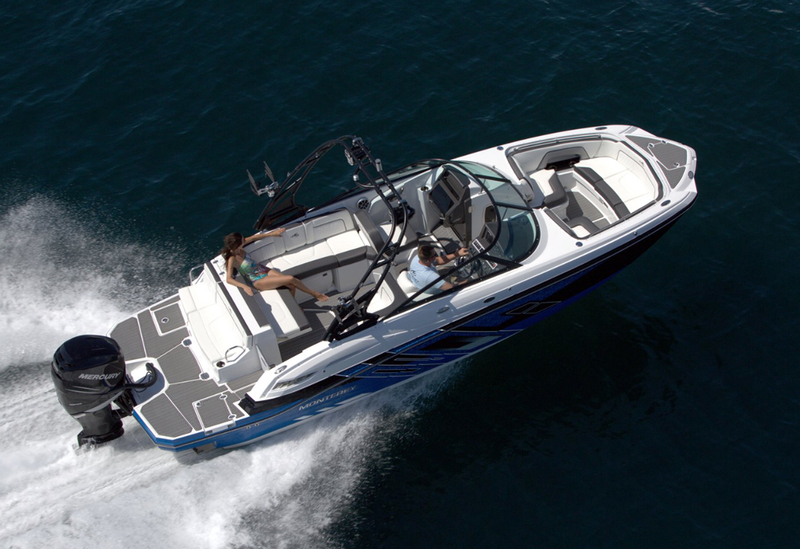 Maybe there’s another center console on the planet that carries five outboards on the transom? Not a chance. And those five engines are Seven Marine 627s, which just happen to be the most powerful outboards in existence. 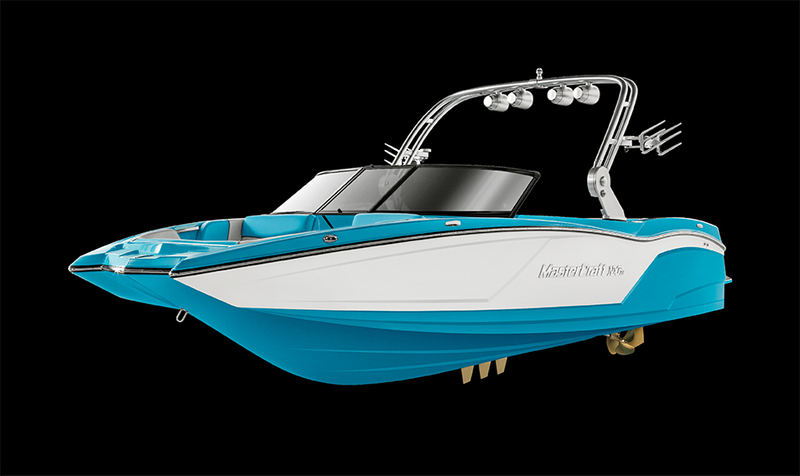 That gives the 65 Estrella 3,135 horsepower which is, yes you guessed it, the most of any center console on the water today. 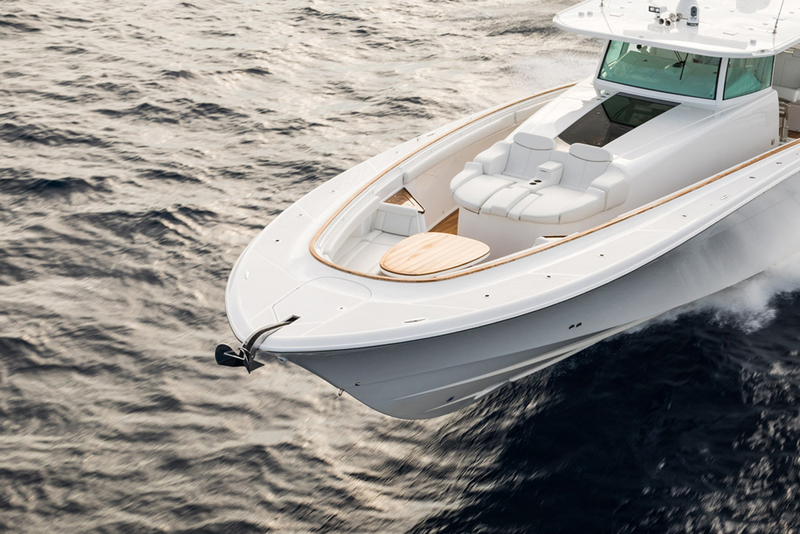 The HCB Center Console Yachts 65 Estrella isn’t just the biggest center console around, it’s also the most powerful. 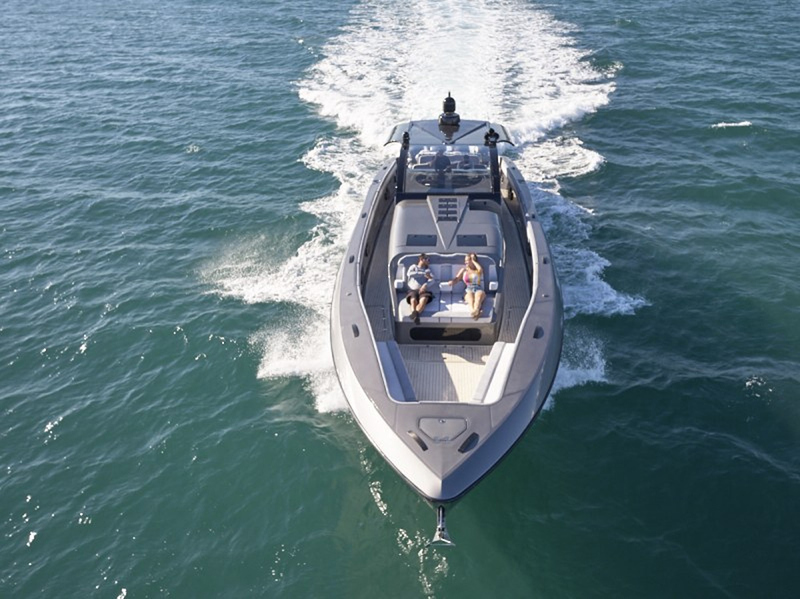 If someone manages to create even more powerful outboards we won’t be surprised if the Estrella can handle them, because the boat’s official maximum horsepower rating is “unlimited.” That said, just what does 3,135 horses get you in a monster center console yacht like this? A top-end of close to 60 MPH and a leisurely cruising speed of 40 knots. More impressive than the speed, however, is the ride. This boat has so much mass—displacement is 46,000 pounds – that it basically squashes waves like bugs. 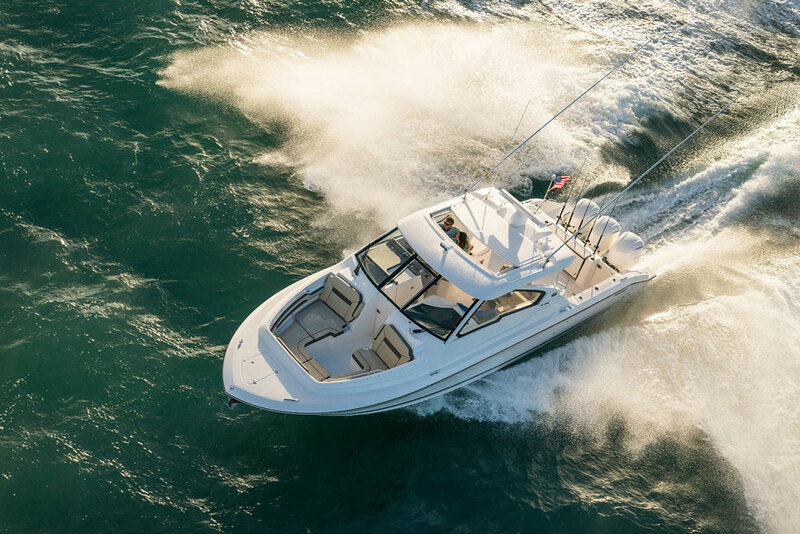 Cruising across the Chesapeake Bay over a two-foot chop is essentially like cruising down a recently paved highway in an Audi A8. As far as center consoles go, it’s the height of luxury. Speaking of luxury: you’ll encounter it both on the inside and outside of this boat. 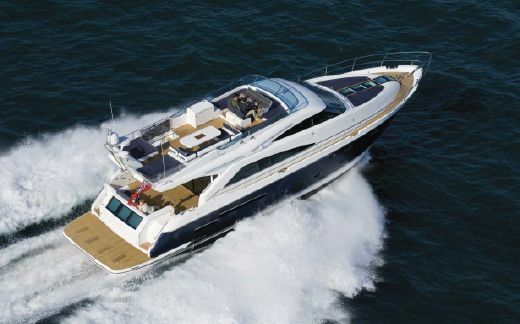 Air conditioning gushes through the entire bridgedeck, the pair of loungers integrated into the front of the console make La-Z-Boys seem Spartan, and even the bow seating—which is rarely useable much less comfortable on a cruising center console—puts you squarely in the lap of luxury. Yes, of course the forward console loungers have cup holders. And that bow dinette table? It rises out of the deck at the press of a button. What about inside the cabin console? As one might expect, it’s finished off to yacht-level quality. The woodwork has a finish so glossy you can see yourself in the reflection, the fit and finish is flawless, and the mix of dark wood tones and bright countertops and upholstery is Miami Beach chic. There’s a full galley across from a dinette that converts into a double-berth with a Pullman single, a stand-up head with a separate shower stall, and a master stateroom forward. The master has a queen berth, and sets yet one more record as the first center console to have a cabin with sleeping accommodations for five including a private stateroom. This may not be what you expect to see inside a center console, but it’s certainly in keeping with the Estrella’s yacht-like attitude. Wait a sec—isn’t this a center console fishing boat? Yes, and no. It is by definition a center console and it does have plenty of fishing features. There’s a pair of 80-gallon livewells at the transom, flush-mount rodholders ring the gunwales and line the transom, and there are outriggers springing up from the hard top. But that’s just what you’ll find on hull number one. 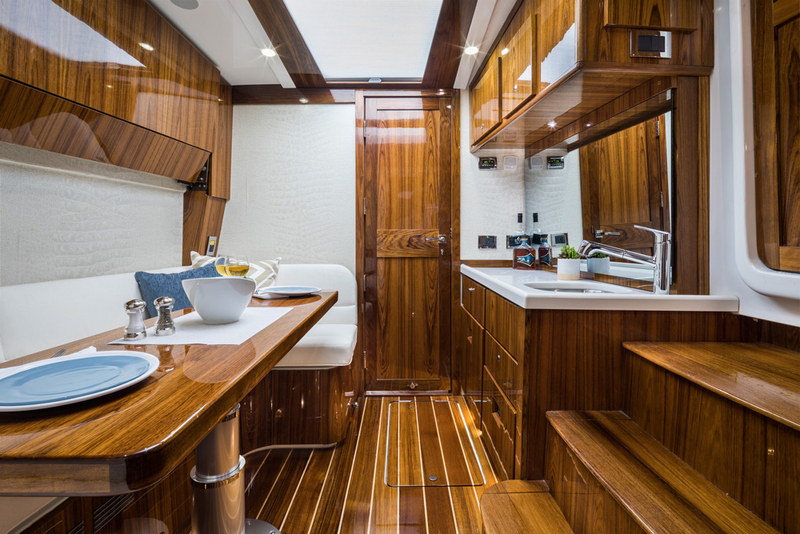 HCB Center Console Yachts customizes their boats to fit the owner’s needs, and that livewell isn’t built into the transom but is mounted there. 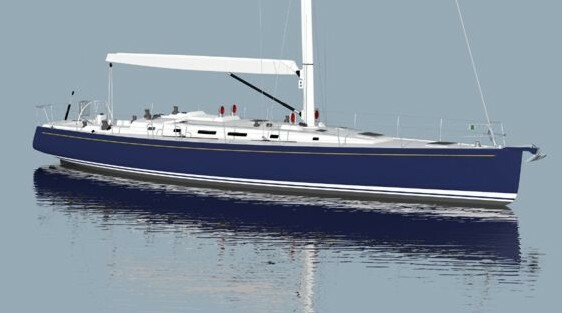 If you’d rather have an aft bench seat, more deck space, or stowage, that’s how HCB will build it. That said, the specific boat we saw was ready for and capable of offshore battle with anything from yellowfin tuna to yellowtail snapper. So: does that accounting of the 65 Estrella cover all of its record-breaking attributes? Not quite. We should mention price, which as one might expect overshadows the average center console with a starting point in the neighborhood of three mil. We’re also pretty sure that there isn’t any center console on the water today with standard bow thrusters and stern thrusters. Nor can we find one with anything close to the 65 Estrella’s 1,800-gallon fuel capacity. The bottom line? 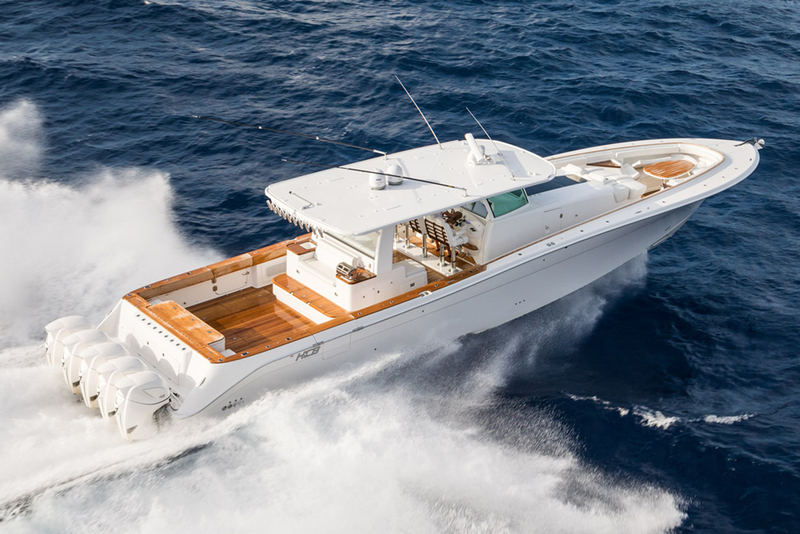 When it comes to center console yachts, the 65 Estrella reigns supreme. Other Choices: There are none. Period. See HCB 65 Estrella listings.